Specialist presentation and public speaking training provider Time to Market has announced the availability of its new centre for presentation training in Cambridge. Located near the centre of the city, the training venue is ideally placed to meet a range of presentation skills training needs. Only half a mile from the centre of this historical city the new presentation training centre is situated in a contemporary business park setting. Boasting plenty of car parking the centre is easily accessible for both the M11 motorway and the A414. Cambridge railway station is only 15 minutes away by taxi and local buses serve the business park location. “I am delighted that we are now able to serve our customers in the historical setting of Cambridge,” said Andrew Ivey, Principal Trainer at Time to Market. “Prior to this announcement, our customers had to travel further for training facilities. We can now look forward to using these ideal premises. 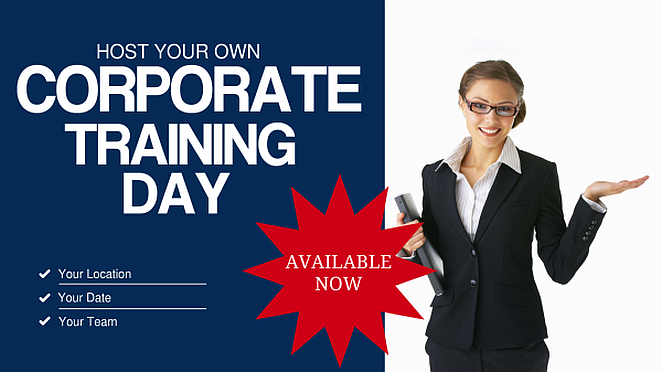 You can train to be a confident presenter with presentation training in Cambridge. We offer a range of presentation skills training courses: for you, for groups, for full days or half days—available for all abilities. 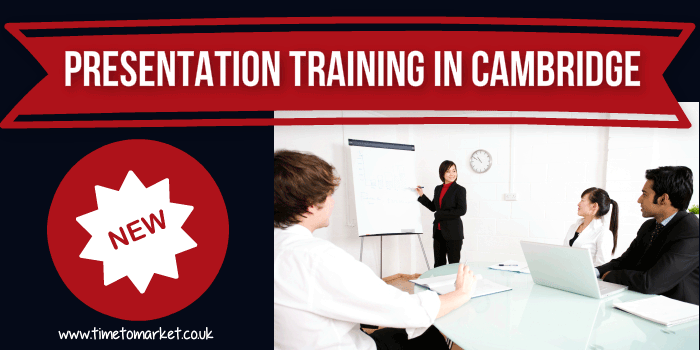 You can train to be a confident presenter in Cambridge–so you won’t need to travel far. Presentation training in Cambridge includes full refreshments and lunch during the day’s session, expert help and advice and all the training materials you need. To find out how you can become a confident presenter and improve your presentation skills in Cambridge you can contact us now on 01344 859823 or email training@timetomarket.co.uk.